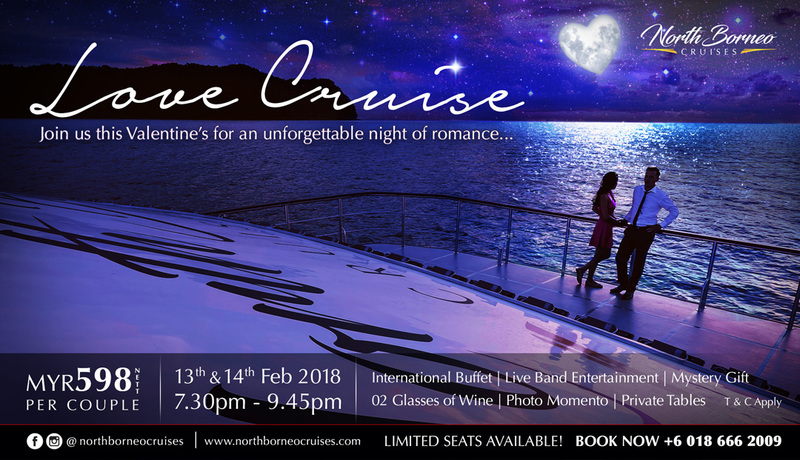 Look forward to leveling up in age on board North Borneo Cruises! 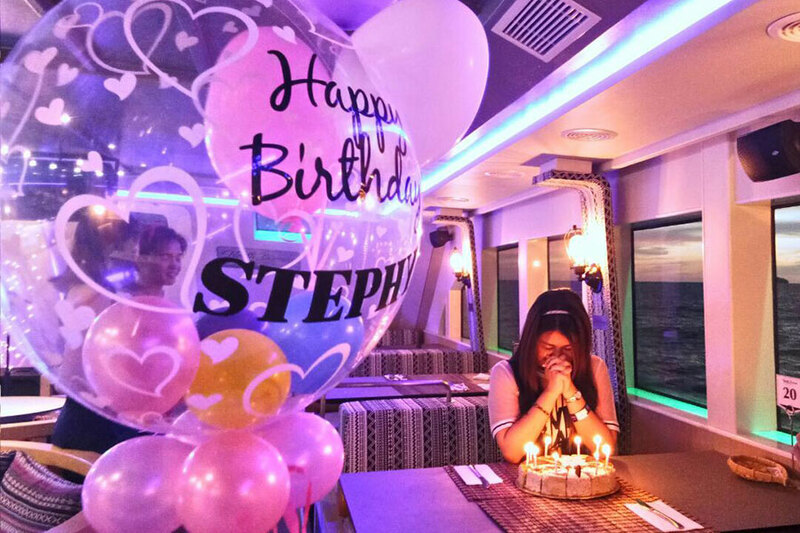 Grant yourself the luxury of a birthday bash on board in celebration of reaching another milestone in life. 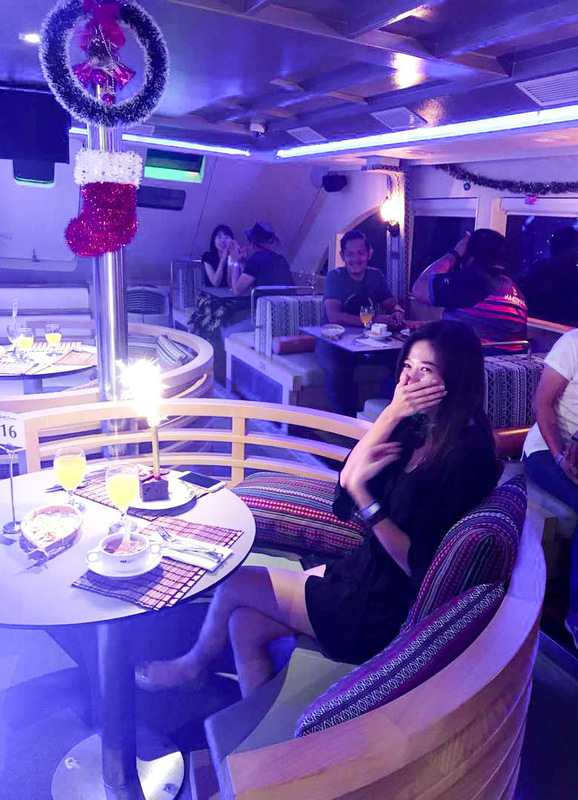 Gone are the days of celebrating birthdays on shore as we’ll whiz you past the marine park and along the coastline as others look on in envy from the Waterfront. Plan a hassle-free party on our cruise line fully equipped with an International buffet spread, live music entertainment, special performances by our team, and even a Karaoke set in our VIP Room! All you need to do is grab your friends and allow Sabah’s blazing sunset set the ambiance for a truly memorable experience.